Compact, Professional-Grade Multi-FX Modeler with Award Winning Line 6 Helix Processing Technology If you already own a Helix / Helix LT and.. 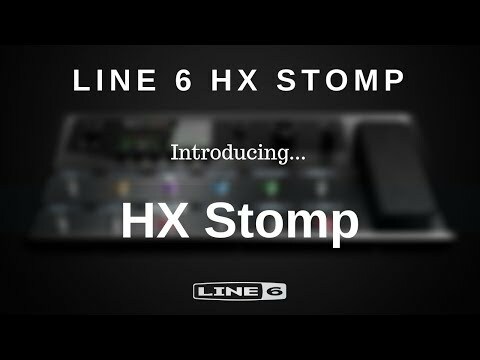 If you already own a Helix / Helix LT and need something more compact as a pedal-board friendly backup, or thought one of those units was a little out of your price range, then the new Line 6 HX Stomp is here! Perfect for studio recording sessions or life on the road, the conveniently-sized Line 6 HX Stomp is a complete Guitar or Bass rig in a box. 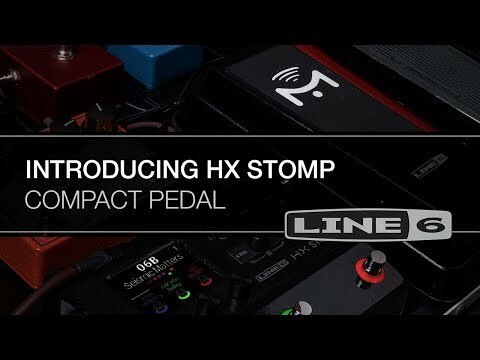 Featuring identical HX Modeling technology as the critically acclaimed Line 6 Helix, along with a 320 x 240-pixel colour LCD, the HX Stomp is a compact multi-effects pedal that will revolutionize your pedalboard rig. Thanks to both the colour display and the simple but powerful controls, selecting and programming patches couldn't be easier. In addition to this, you also have a measure of external control via MIDI, and there's even an optional Expression Pedal switch for extra flexibility. Featuring an industry-leading 123dB of dynamic range, the Line 6 HX Stomp provides you with a tremendous amount of depth and ultra-low noise signal. Using only the highest-quality components, the HX Stomp guarantees unadulterated audio from start to finish, whether you go direct to the Front of House, or laying down tracks in the studio. As with the previous Helix models, the HX Stomp features a huge array of effects, IR simulations, and more. Featuring more than 300 effects and models from the Helix, M-Series, and legacy Line 6 products, and with the ability to simultaneously use up to 6 amp, cab and effect blocks, the HX Stomp is as versatile a modeling unit as you could wish for. Designed to offer you the best in guitar signal processing, but in a much smaller package than the original Helix, the Line 6 HX Stomp is both powerful and pedalboard friendly. In fact the HX Stomp is so compact that it will even fit into the top pocket of the Helix Backpack, making it perfect for regular gigging or the musician on the go. 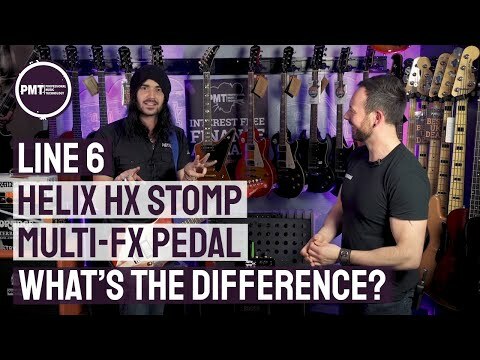 What's the Difference Between the Line 6 HX Stomp and the Line 6 HX Effects? The answer to this question may be more simple than you think (aside from the obvious physical differences). While the array of HX effects on offer by the HX Stomp is similar to those in the HX Effects pedal (more than 100), the HX Stomp also has access to more than 70 Legacy effects, IN ADDITION to 74 Amp models and 37 Cab sims. This means that although the HX Effects pedal may be able to run up to 9 presets simultaneously, the HX Stomp has it beat hands down in other areas. In other words, if you favour the use of Amp and Cab sims alongside your effects, then the Line 6 HX Stomp is the way to go! Contact our online sales team directly to discuss the availability of this fantastic pedal. Alternatively, order your very own Line 6 HX Stomp Online or In-Store today and make use of our fantastic range of home-delivery or in-store pickup services!